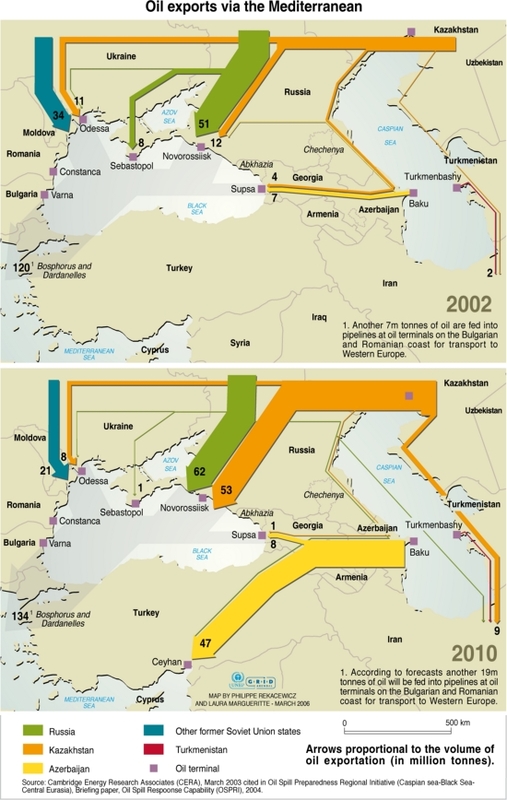 The Black and Mediterranean Seas are one of the main outlets for transporting fuel resources that have been extracted around the Caspian Sea region and from further inland. 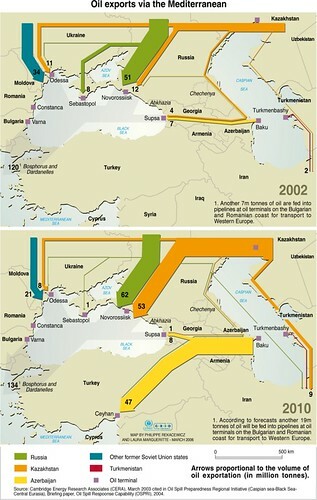 Oil is transported in pipelines to the ports on the Black Sea. 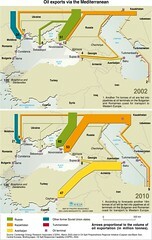 Forecast project a dramatic increase by 2010, including the opening of a new port in Turkey.